Although pruning trees and shrubs are not included in our spring clean up and landscape maintenance service, it is a service we provide and are happy to do. We highly recommend hiring a professional pruner, as it is a difficult task that requires expertise. It can be very easy to make a mistake when pruning that will adversely affect the growth of your plants. 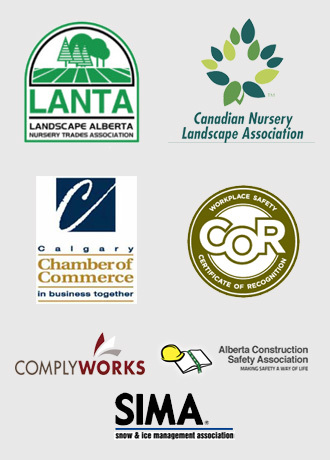 As seasoned Calgary landscaping professionals, we know that this is the ideal time of year to give your trees and shrubs some tender loving care. Experts agree that late winter or early spring is usually best for pruning. The reason is because trees and shrubs remain mostly dormant at this time. Sap has not started fully flowing, which occurs once temperatures regularly reach above-freezing levels throughout the day and night. During a regular spring in Calgary, professional pruning is best carried out before the beginning of May. During dormancy, the plant’s growth and development cycles come to a temporary pause. With professional pruning your tree or shrub will hardly even notice anything has happened, as they are not yet drawing nutrients or moisture from the soil. The cooler temperatures also mean that there are no bugs or creepy crawlies that can get into “wounds” where branches have been freshly cut. Calgary has had a real problem with garden pests and tree ailments such as black knot disease and oystershell scale, both of which can be easily spread by improper pruning and both of which can kill its host tree. Pruning while the temperatures are a little cooler is ideal. When it is warmer and sap is fully flowing your shrubs and trees are spending a lot of energy moving nutrients to the highest branches and growing leaves and branches. When it is cooler, the tree or shrub is not in full “grow mode” and can concentrate its healing efforts on the area that has been pruned. This will speed up recovery and allow them to jump-start the growing process once it is warm enough. Another reason to prune when plants haven’t fully leafed out is simply because problem areas are easier to see. We can more easily spot where branches have become too crowded, and shaping a tree or shrub into a more attractive form is easier. This is all more beneficial for your plants. Finally, pruning dead or dying branches now is favourable for trees and shrubs, as they tend to try to re-grow branches that have no chance of survival. This is just wasted energy and effort. Removing those branches completely redirects resources where they are needed – to healthy new and young growth. Why Hire a Professional Pruner? To ensure your trees and shrubs stay healthy, happy, and viable in Calgary’s often unpredictable climate, a professional pruner is your best bet. The first reason to hire a professional pruner is that it can be a dangerous job. It can be very difficult to tell where the pruned limbs will fall. Often they will not fall where expected, and end up caught up in other branches, making for a tricky task as you try to free the limb without harming the others. Pruned branches can also fall on precious perennials, roofs, and even vehicles, causing serious damage. Getting branches that are high in a tree is also very dangerous. Climbing a ladder to prune is not advisable, as your weight will shift often and unexpectedly, causing the ladder to tip. Professional pruners have the tools necessary to reach high branches, and the needed safety equipment to climb high enough. As mentioned, professional pruners are also able to spot pests and diseases and have the knowledge and expertise necessary to not cause further infestation. They can also advise on the proper way to rid your trees and shrubs of invasions of bugs, creepy crawlies, and fungi. Finally, it is very easy to over prune or prune in a way that compromises the health of a tree or shrub. Chopping off branches willy-nilly can leave behind unhealthy limbs and remove those that are in good shape. You will unfortunately end up with a plant that is worse off than before you started. Also, poor pruning can leave a tree or shrub looking ragged and unattractive, which can take several years to overcome. Need a professional pruner? Contact us at Mirage for a consultation. 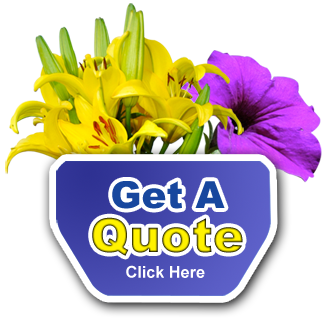 We also provide landscape maintenance, construction and snow removal services.